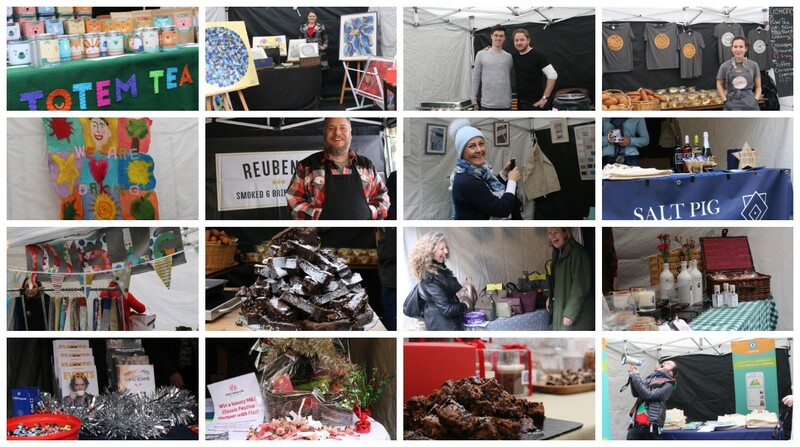 On Sunday, the 25th November, Dorking’s streets were filled with nearly 9,000 Christmas Festival visitors and over 30 market stalls featuring the best of local Surrey produce, food and spirits, and arts and crafts. Visitors left their computers and tablets behind at home and descended upon Dorking for its community-spirit, small business retail therapy, sumptuous food, live all-ages entertainment including the community choir, jazz music, face painting, Santa’s Grotto and Christmas lights switch-on. 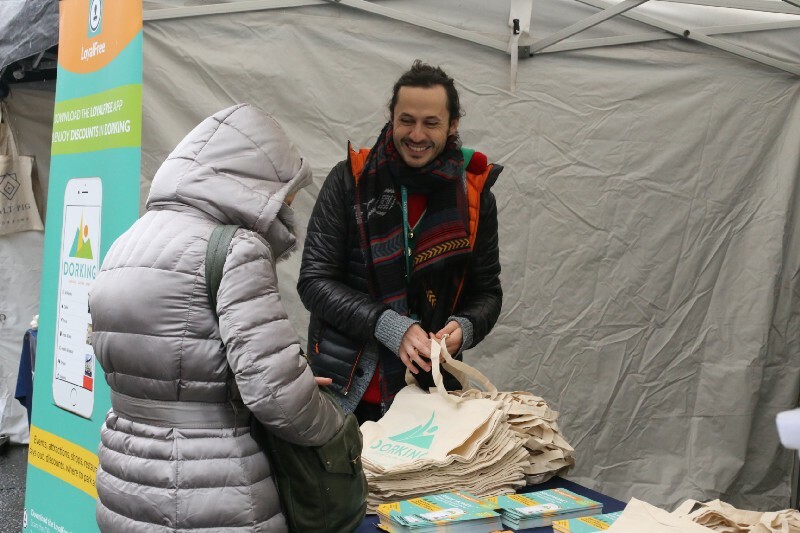 The BID has also partnered with LoyalFree, Dorking’s digital loyalty scheme that benefits all Dorking BID service and retail businesses and currently provides customers 61 offers. 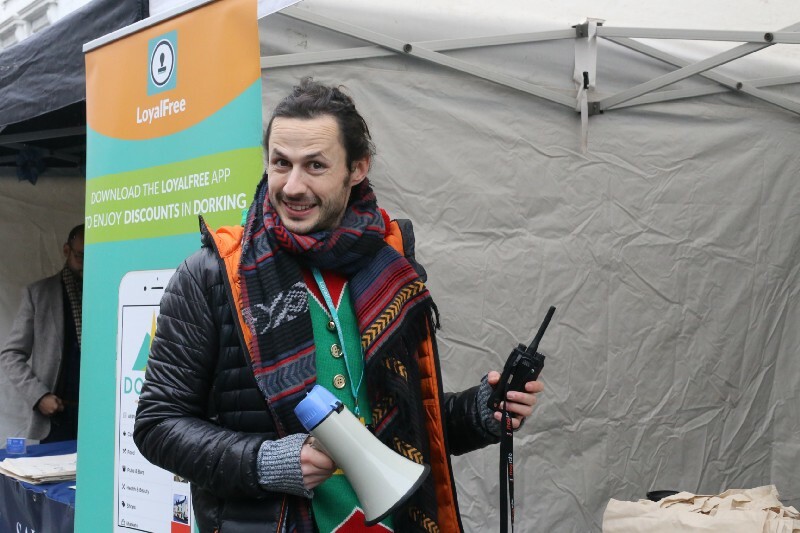 LoyalFree is the multiple award-winning company founded by Sophie Hainsworth and Jason Nesbitt. 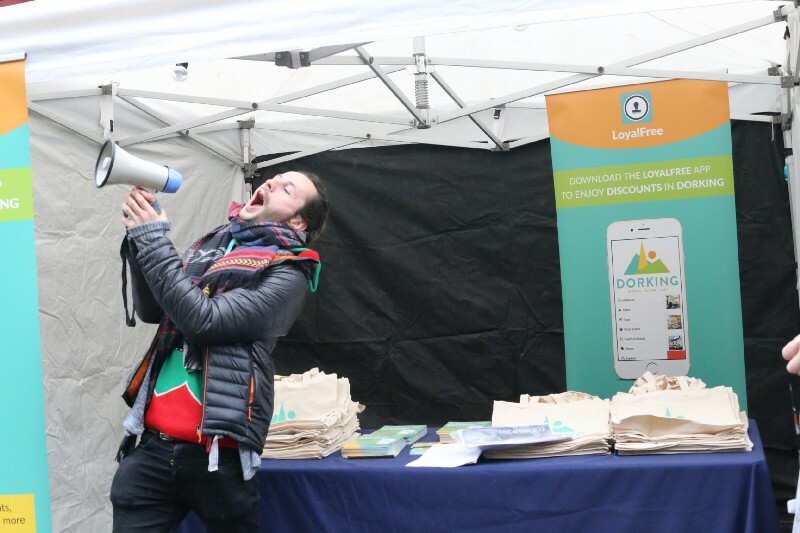 Sophie and Jason were actively promoting the Dorking’s LoyalFreeApp at the Festival, offering a £150 gift voucher promotion. Dorking has a heritage of innovation and an independent spirit. A hidden gem in the heart of the Surrey Hills, its outstanding natural beauty has drawn visitors and locals alike to this quintessential English town for hundreds of years. Dorking has charmed its way into people’s hearts as an easy get away. 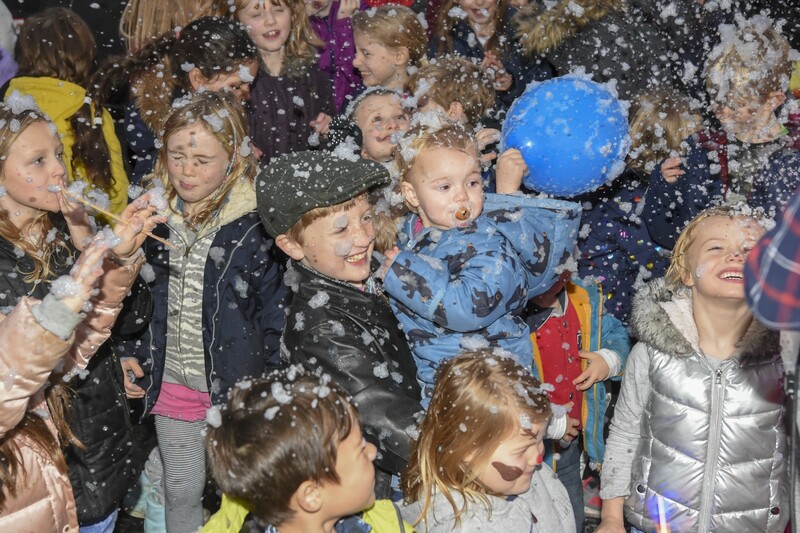 The Christmas festivities continue this week as Dorking hosts Christmas Window Competition in the lead up to Small Business Saturday, 1st December. Twenty three businesses are participating in the competition. 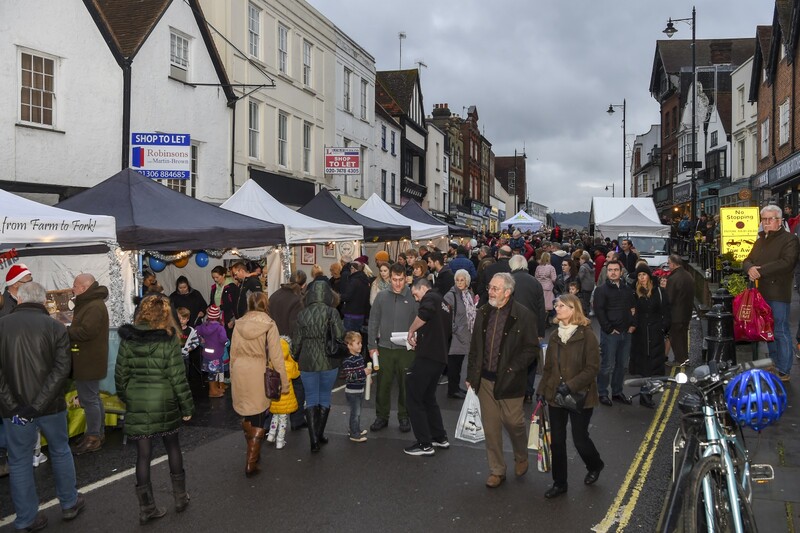 Local businesses have been invited to participate, and all entrants will be invited to a private reception hosted by the White Horse Dorking on 1 Dec.
Sir Paul Beresford, local Mole Valley MP will serve as judge for the Most Festive Window and will visit Dorking on Small Business Saturday. Public judging has officially commenced and ends the 30th November. Businesses are eligible for two awards, Most Festive Window and People’s Choice Award (by public vote). The public may vote via text 88802: Dorking “Store Name” for a chance to win one of five £100 vouchers to be spent in any shop in Dorking. Standard text rates apply.